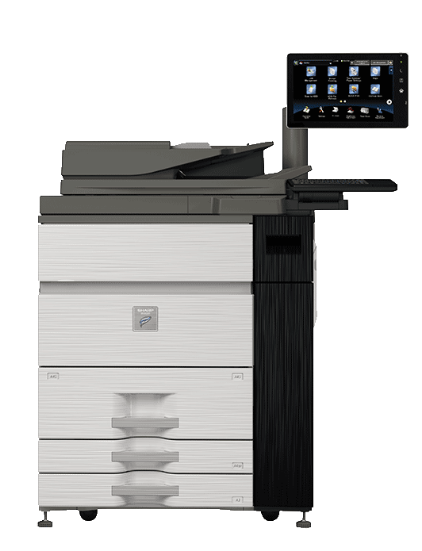 Sophisticated features that get the job done. 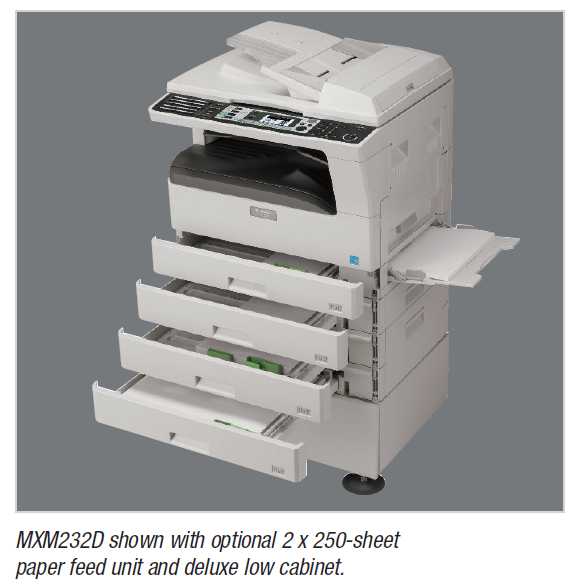 The Sharp MXM232D delivers the advanced performance needed for today’s small office–all in a value-driven, multi-function document system. 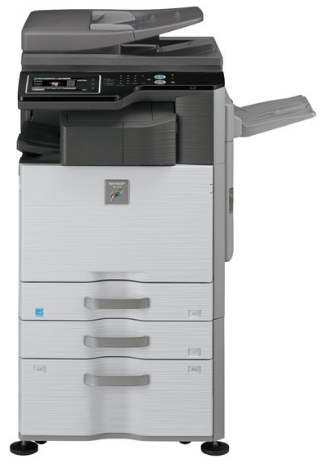 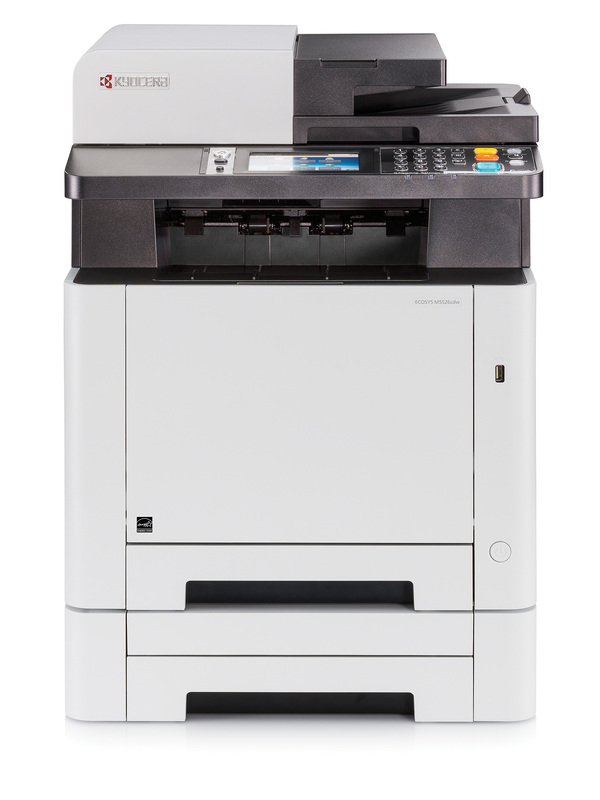 This 23-ppm versatile performer comes equipped 600-dpi speed-enhanced PC printing with up to 1,100-sheet paper capacity, this robust MFP can easily keep pace with even the most demanding offices. 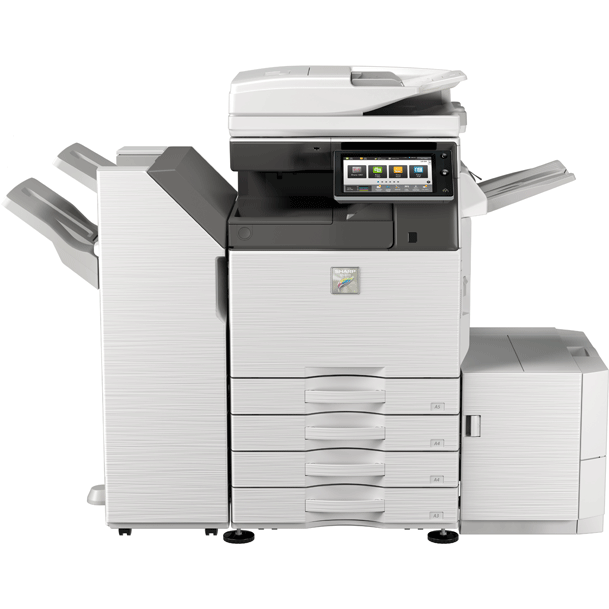 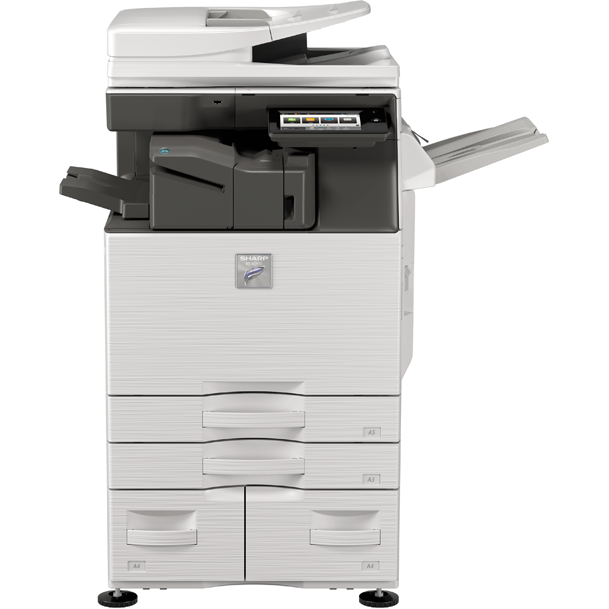 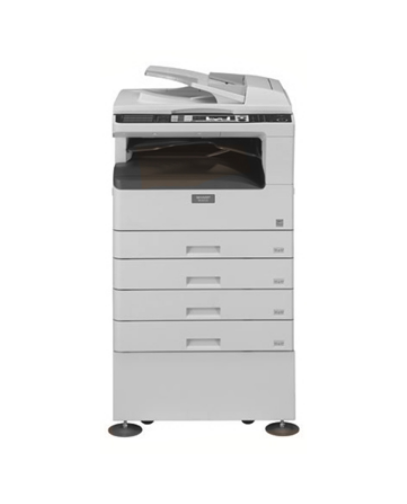 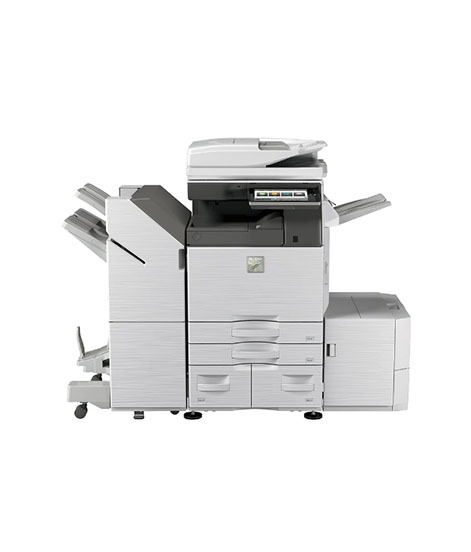 And, with flexible connectivity options such as PCL®6 and PS®3 network printing, network scanning and Super G3 faxing, the Sharp MXM232D can easily help grow your business.